The International Sustainable Campus Excellence Awards recognize sustainable campus projects that demonstrate leadership, creativity, effectiveness and outstanding performance in the areas of Whole Systems Approach, Partnerships for Progress, and Cultural Change for Sustainability. An additional Honorary Member Award is granted to outstanding projects at non-member institutions. Since the beginning of the ISCN Award program in 2009, hundreds of nominations have been received from schools representing Europe, Africa, Asia, Australia and the Americas. For highlights of winning projects, check out the previous Award winners! Winners of the awards will be recognized at the award ceremony as part of the ISCN Conference. All awardees will receive a plaque and will be featured in the ISCN gallery of landmark projects where they will serve as case studies to inspire university members on what is possible and how successful projects can be developed. Through the global presence of the ISCN, the visibility of the awards will not only fertilize the improvement of campus development internationally, but will also help continue the momentum for the awardees on their own campuses. 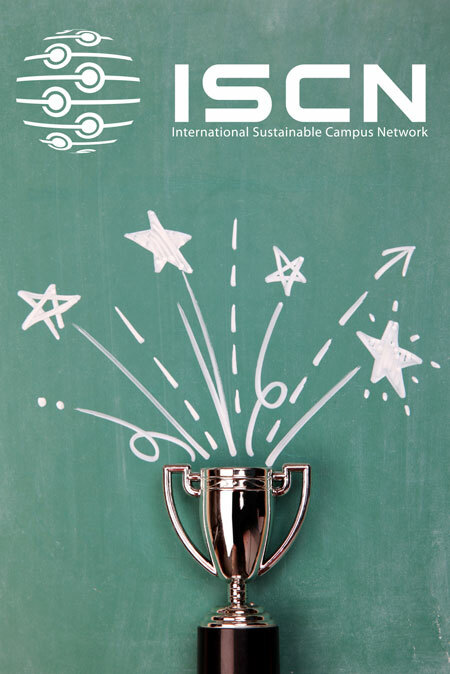 The ISCN calls for nominations to the ISCN Sustainable Campus Excellence Award in three categories: Whole Systems Approach, Partnerships for Progress, and Cultural Change for Sustainability. Applications shall be filed specifically for one out of these three categories. The Honorary Member Award is granted to institutions who demonstrate their commitment to the guiding principles of the ISCN that is, that organizations of research and higher education have a unique role to play in developing the technologies, strategies, citizens, and leaders required for a more sustainable future. Projects may relate to any aspect of sustainability and higher education institutions.